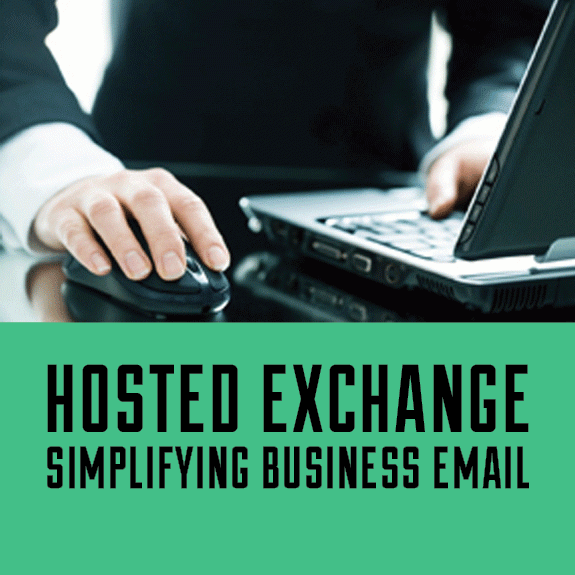 Hosted Exchange: Simplifying Business Email | Be "Noticed"
Hosted Exchange: Simplifying Business Email. As the benefits of cloud computing are being realized, more and more businesses are moving their email and shared calendars to the cloud. The number of hosted Exchange accounts grew by 53 percent between 2012 and 2013, according to Osterman Research. Over 100 companies now supply this cloud-based email service and network administrators can find many reasons to embrace the transition to hosted Exchange. Here we’ll examine four main advantages of hosted exchange. When a business uses a server in the cloud, its staff only needs to create and manage email accounts. There’s no need for them to configure or upgrade Exchange software. They also avoid the tasks associated with maintaining a server. The hosting provider’s employees monitor the system for problems and handle most of the complexities. If staff members have questions about managing or using email accounts, they can ask for assistance from the host’s tech support department. Service providers accept most types of email-related technical problem reports as well. This form of outsourcing can reduce a company’s IT support costs in the long run and reduce the time spent on sorting out email headaches. Companies with in-house email servers often lose messages when hard disk failures or power interruptions occur, and according to IT Management a survey found that the average business email outage lasts about 32 hours. Hosted Exchange services can’t always prevent this, but they have the resources to ensure maximum reliability. A hosted Exchange service’s frequent maintenance, redundant hardware and automated backups will minimize data loss, which is important for companies that conduct business by email on a regular basis. If a client is in a hurry, one undeliverable message may result in the loss of a crucial lead or sale. It’s best to avoid giving a customer an opportunity to look elsewhere. Outages also harm a company’s image by making it appear less reliable. Hosted Exchange pricing starts at under $8 per month for one high-capacity email account. The setup costs remain very low, and providers offer discounts for clients with multiple users. This is particularly advantageous for small businesses that don’t have extra funds to spend on servers, Internet bandwidth and Exchange software. needs power, software and maintenance. Many Exchange hosts supply everything a firm needs to use email and online calendars in a productive manner. Businesses receive these extras at no additional cost and they typically include Microsoft Outlook software, spam filtering and virus protection. Some hosting providers will levy an extra fee to access email messages on certain types of mobile devices. The bottom line is that hosted Exchange eliminates hassles and reduces operating costs for the vast majority of companies. Most importantly, it allows them to focus on the tasks of running their business that will generate revenue. When it comes to choosing between spending time repairing a malfunctioning email server or creating new products that will increase company profitability, the choice is obvious. Amy works in marketing and digital strategy. You can connect with Amy on Google+.